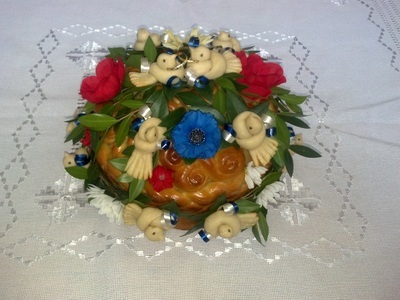 ﻿Numerous standard options and special orders are available. 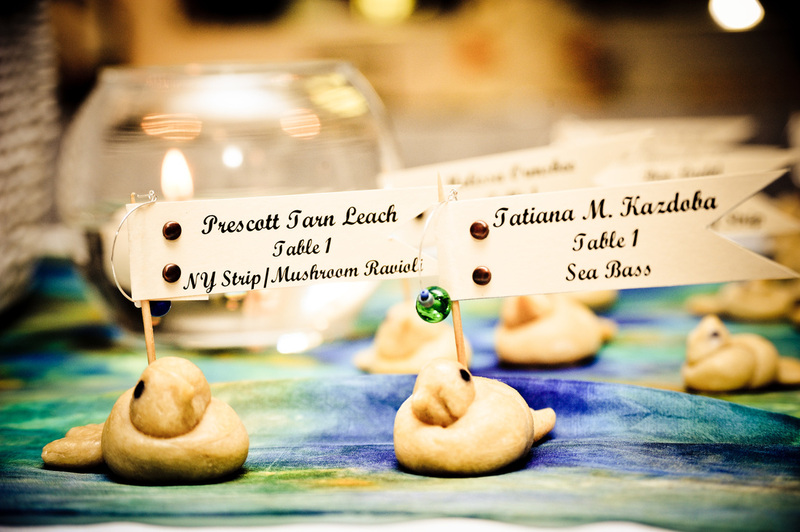 See the options below before placing your order. 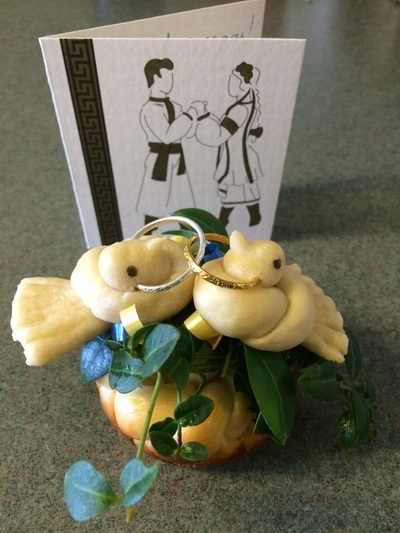 ​Shipping costs through UPS are based on next day or second day delivery. Second Day is the lowest level I ship – for freshness sake. 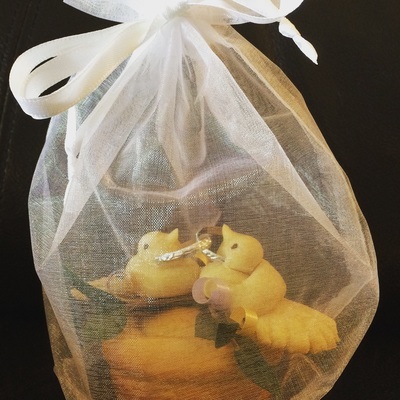 Please see the shipping tab for more details. If you order additional birds for decorating or gifts they can ship earlier at a slower pace as they do not require refrigeration. Payment options are available - Certified Check; Money Order; Credit Card; PayPal. 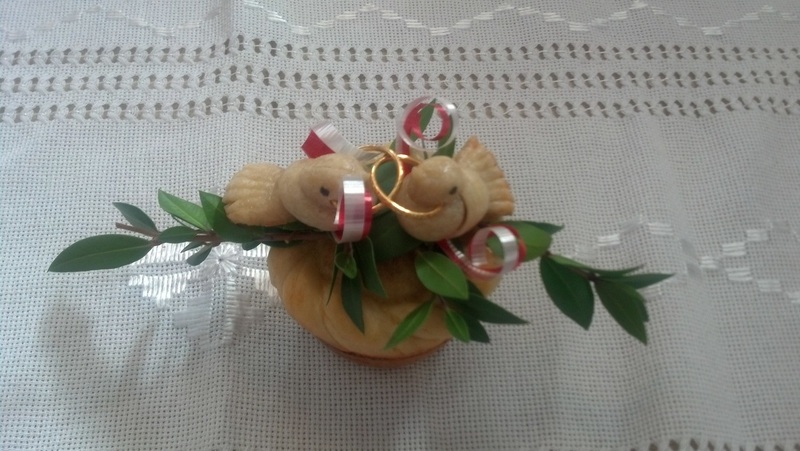 Full payment is due one week before the shipping date. Orders made within 2 weeks of shipping date are considered rush orders and a $40 rush fee will apply. 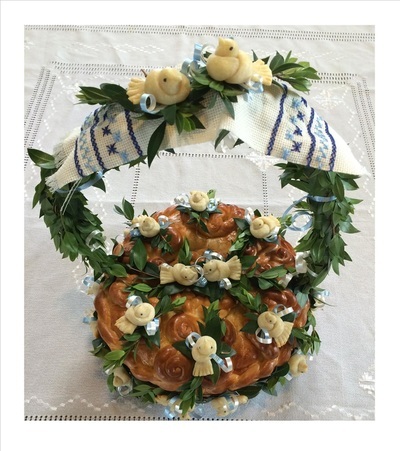 Please look through all the options below and when you are ready to order please fill out the Order Form. 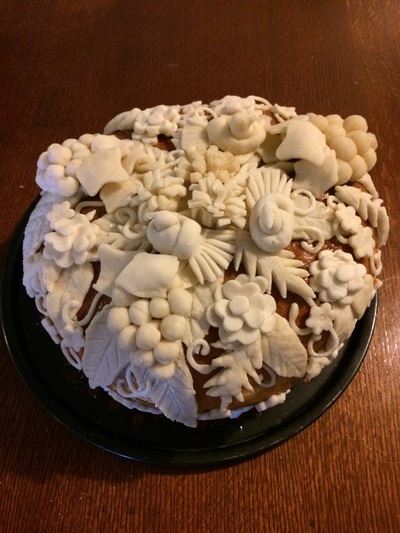 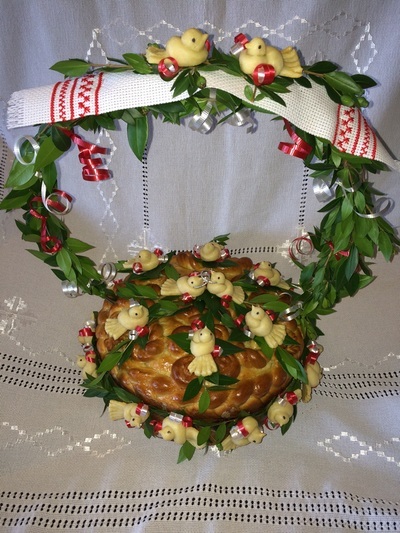 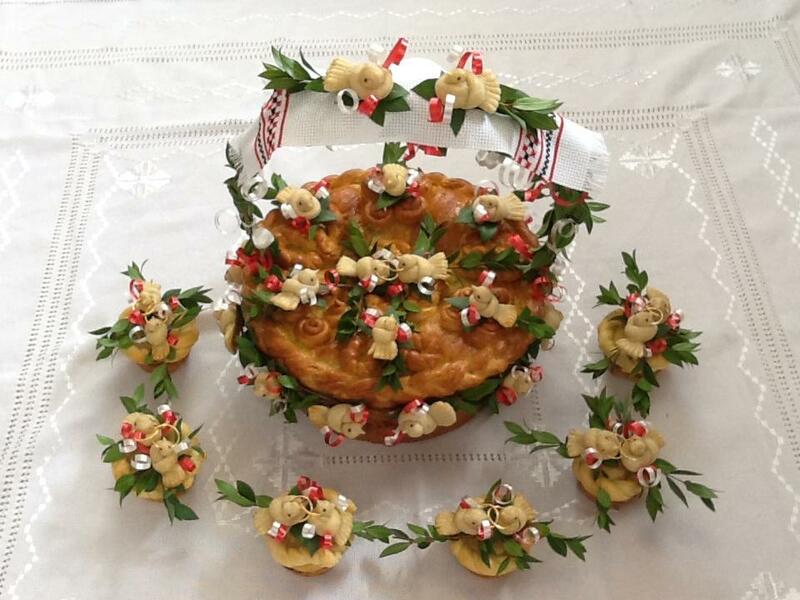 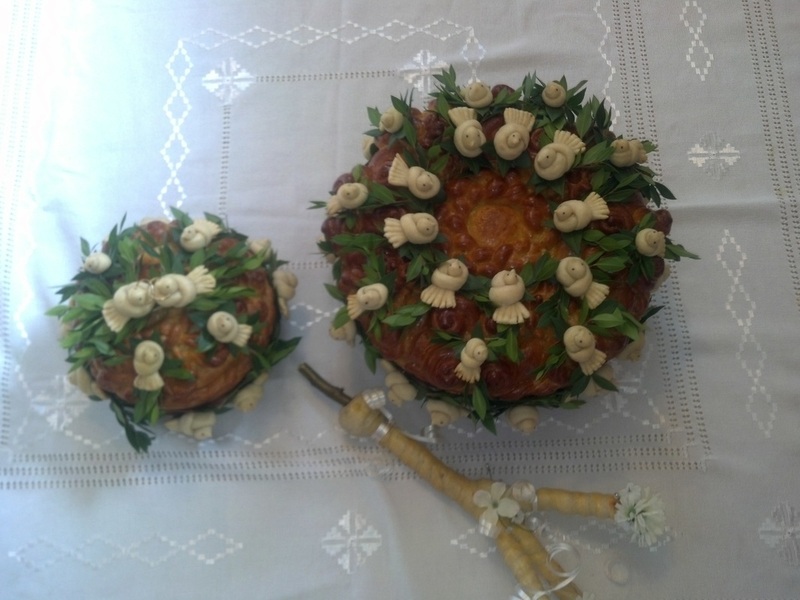 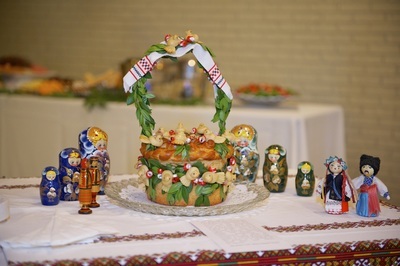 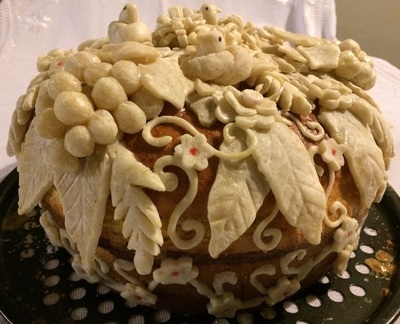 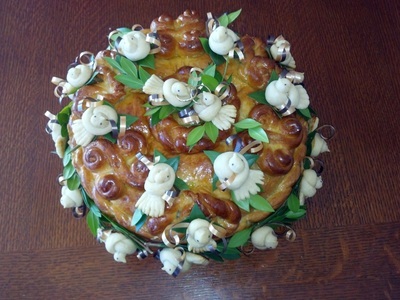 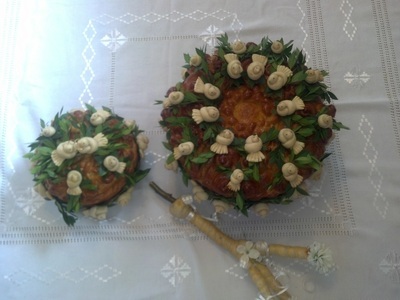 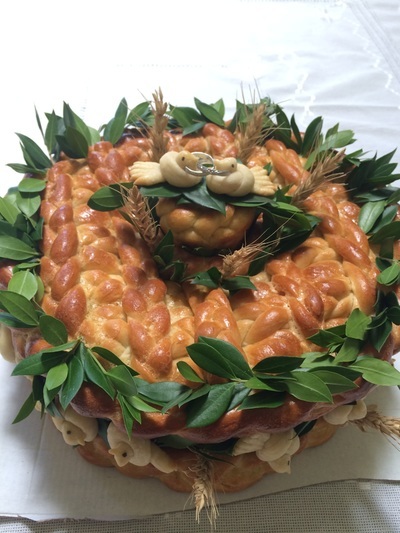 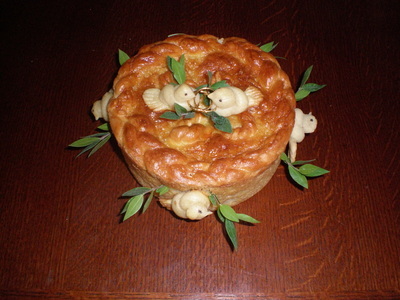 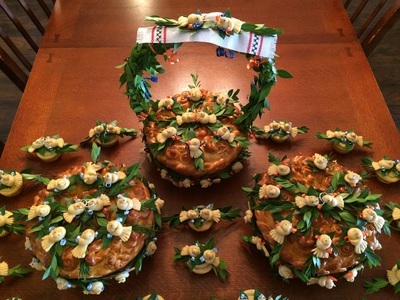 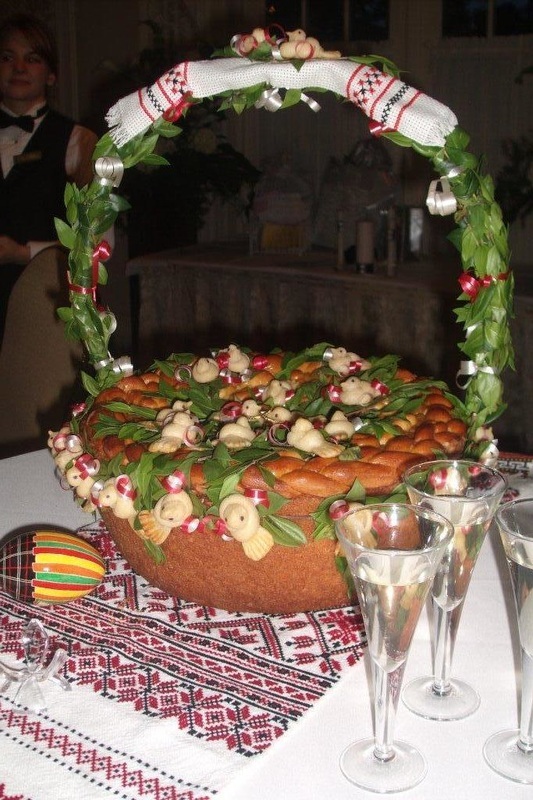 ​All Korovai come decorated with baked on traditional dough decorations which may include braids, swirls, leaves, pine cones. 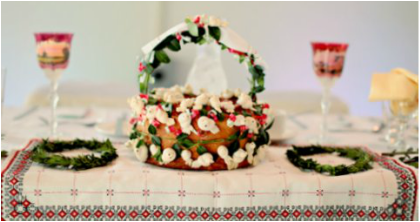 Clicking on the pictures below will bring up a larger image. ​This is our most popular option. 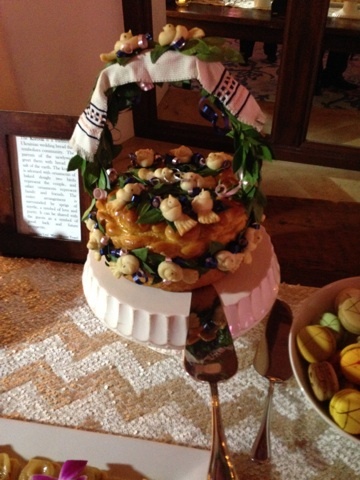 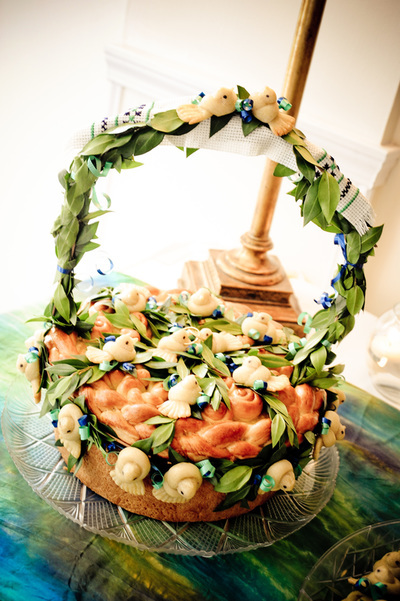 The greeting bread on a tray with salt and vodka or on display at the guest book. 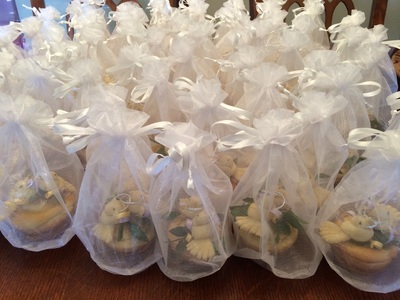 If you have a special request please let me know. 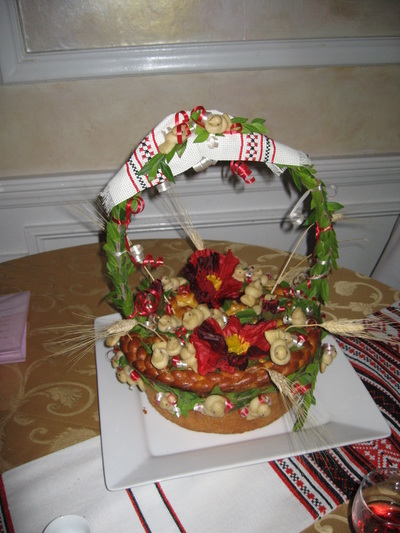 Each Korovai is unique. Organic options are available. 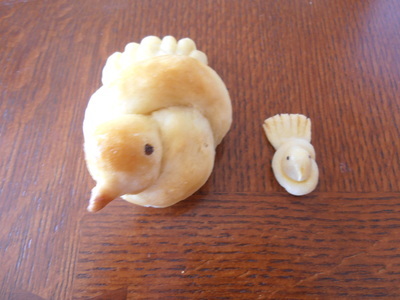 Price varies. 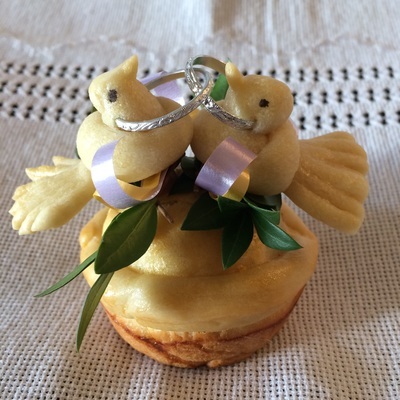 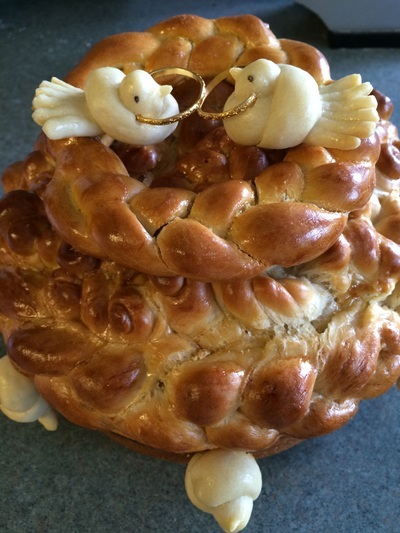 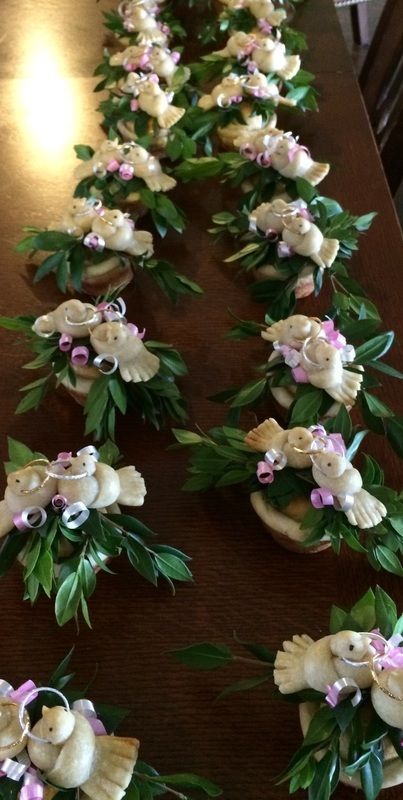 ​Extra birds can be used around your korovai, as table decorations, added to napkin rings, place card holders or guest gifts. 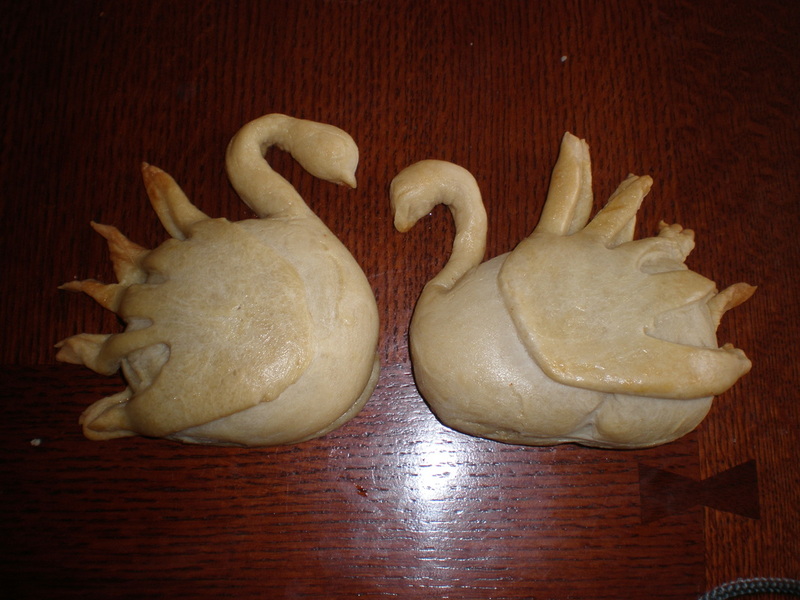 They are made with non-rising dough so they can be shipped earlier for you to craft with. 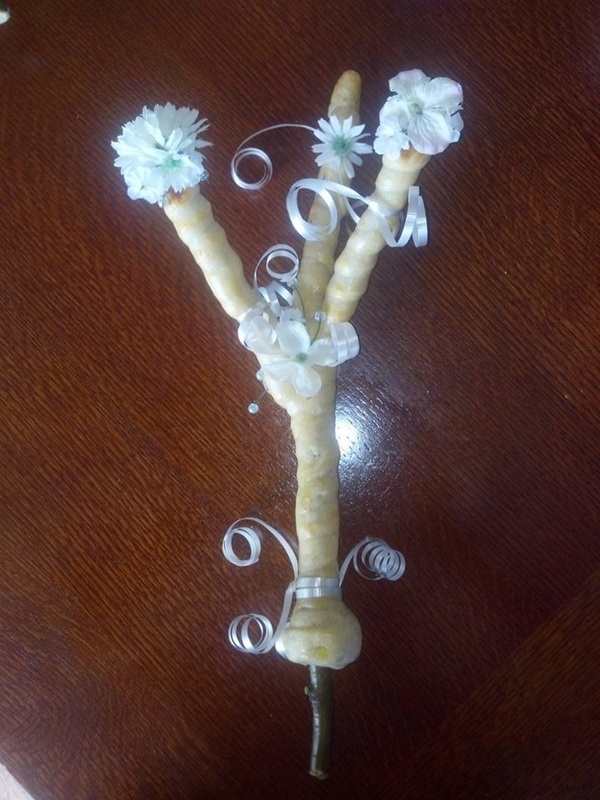 All it takes is some creativity and imagination! 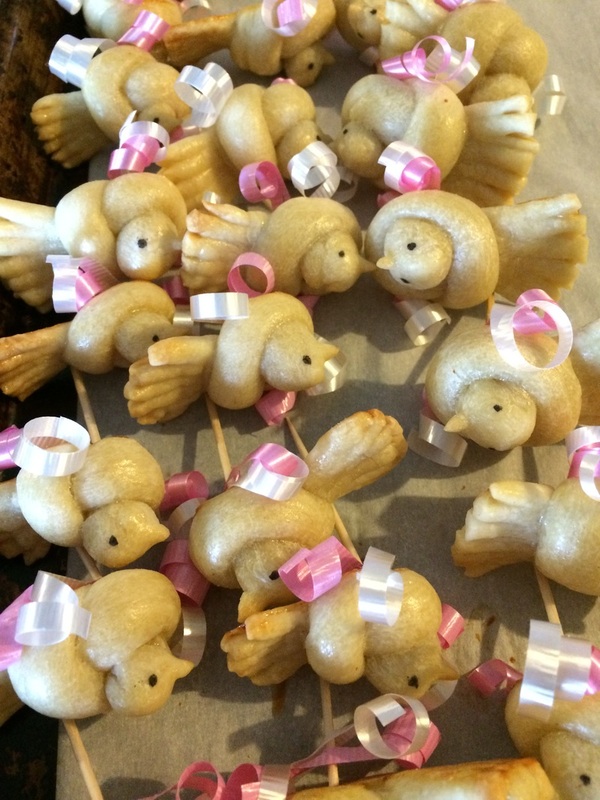 ​75¢ each with or without toothpick. 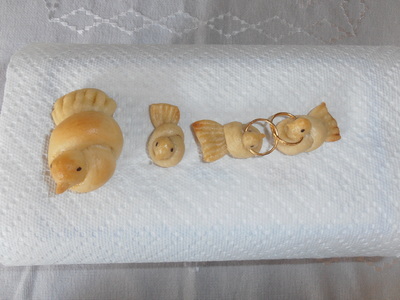 Pair with rings $1.75. 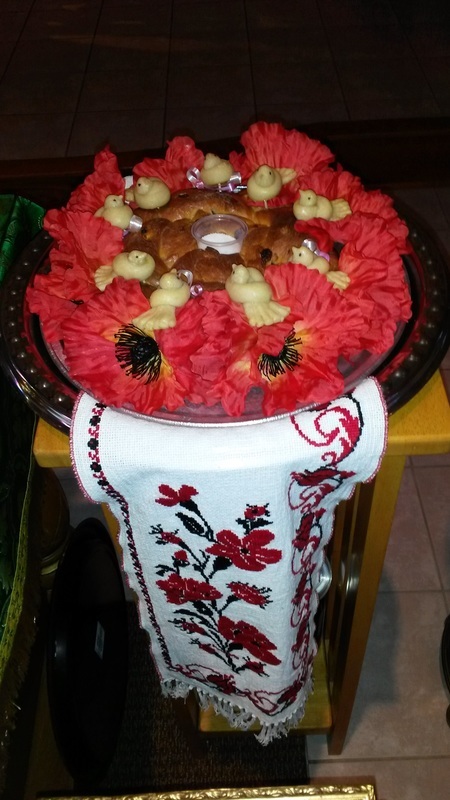 Korovaichyky are great for favors/bonbonnieres, to decorate your tables or to give as gifts to your family and wedding party. 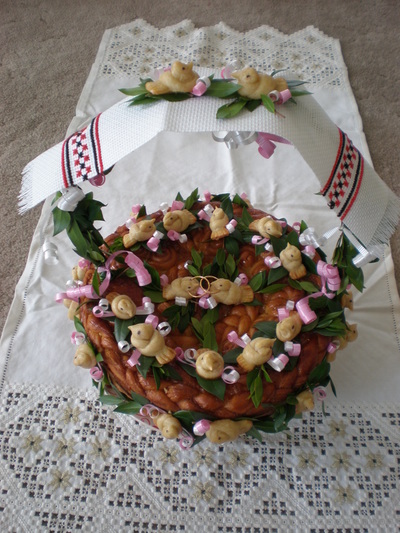 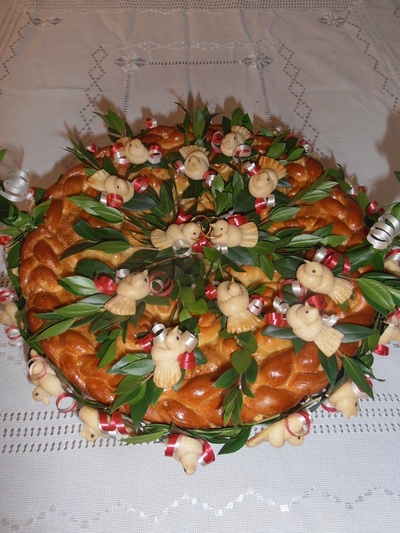 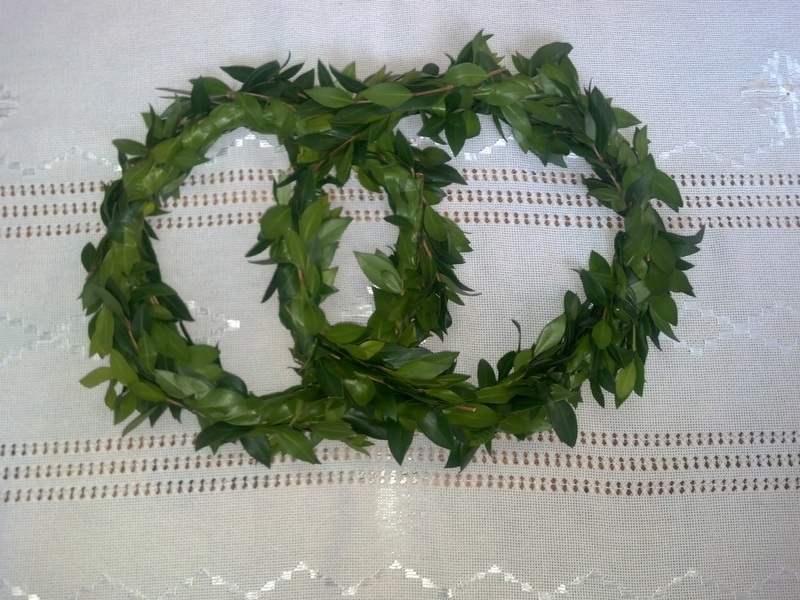 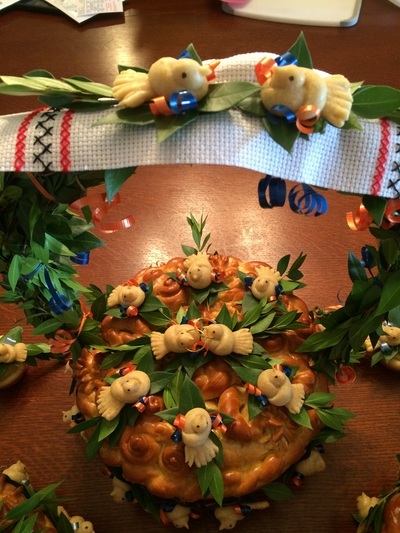 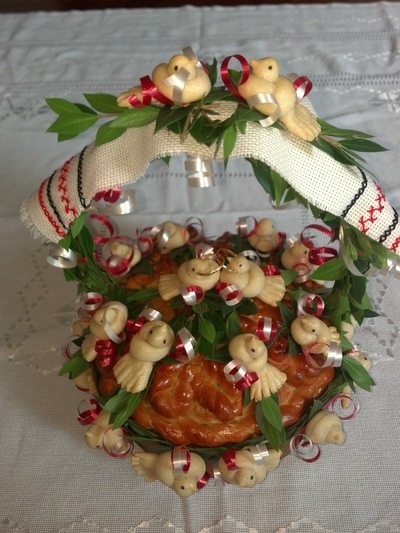 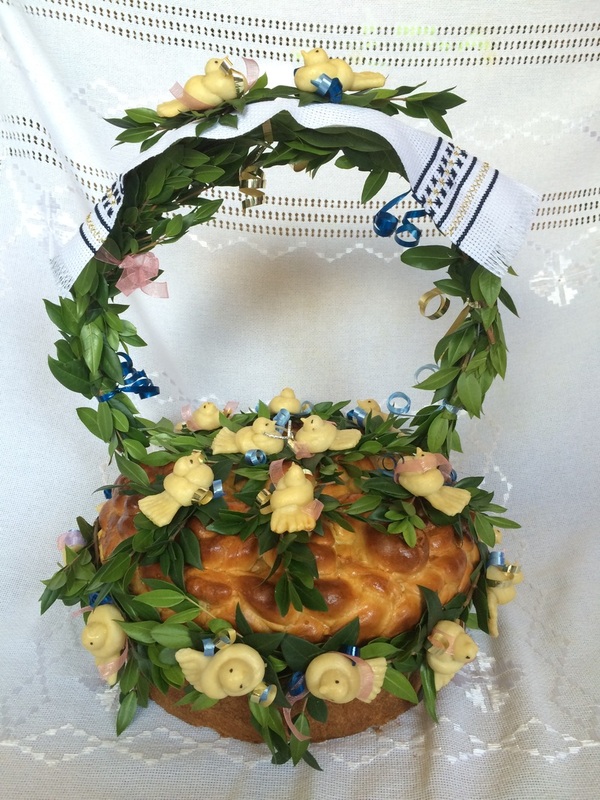 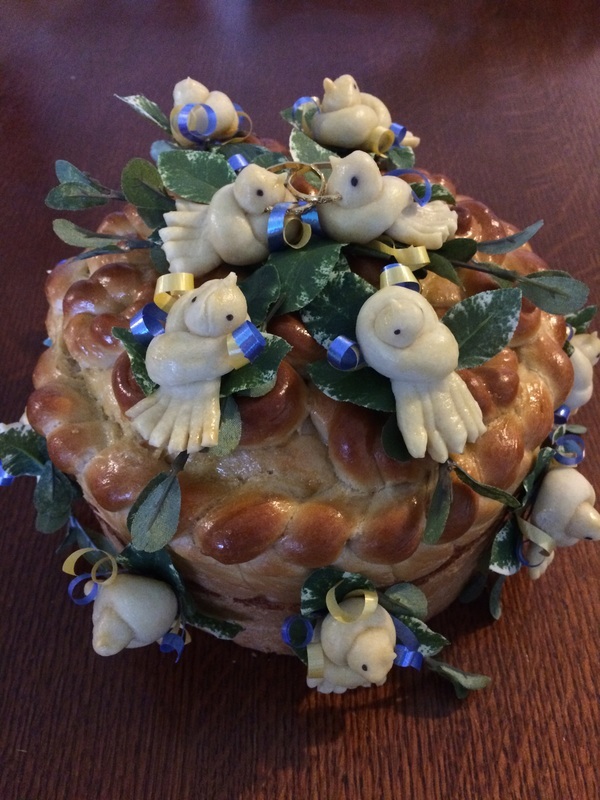 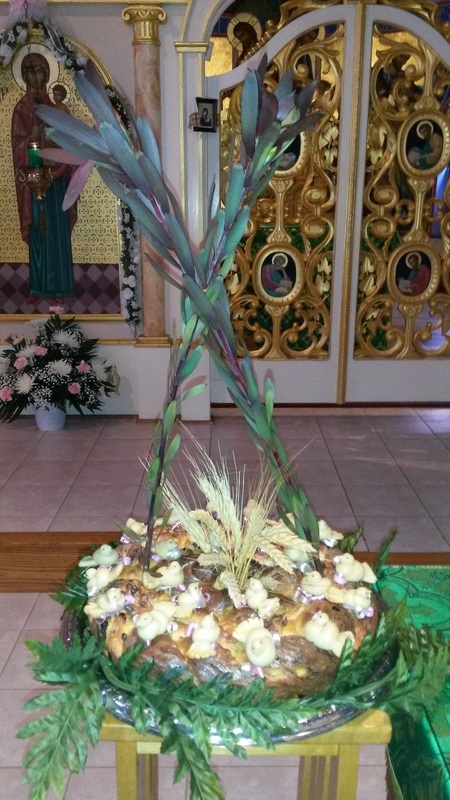 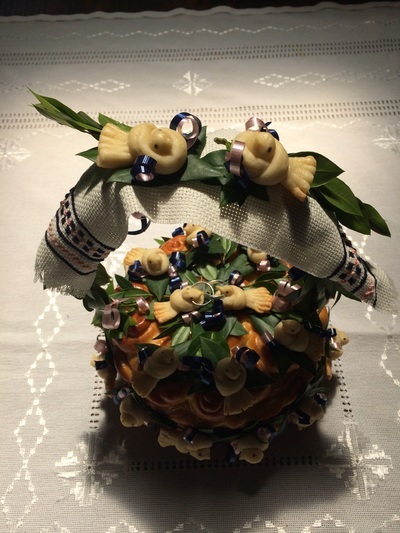 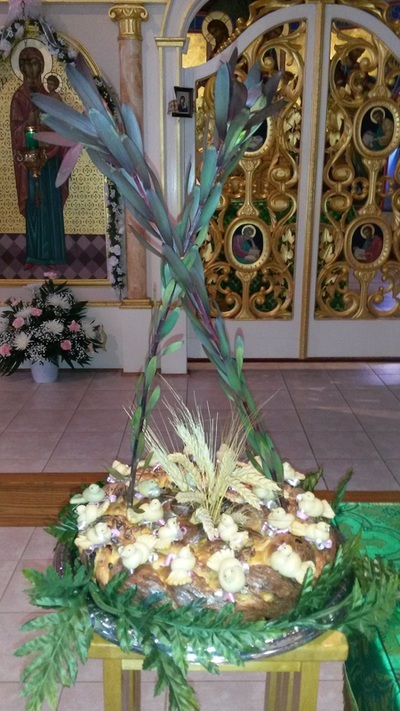 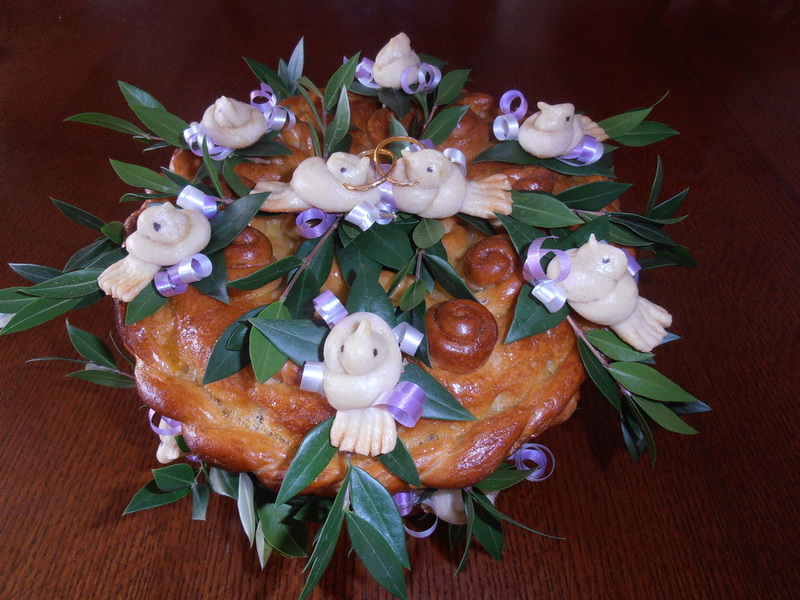 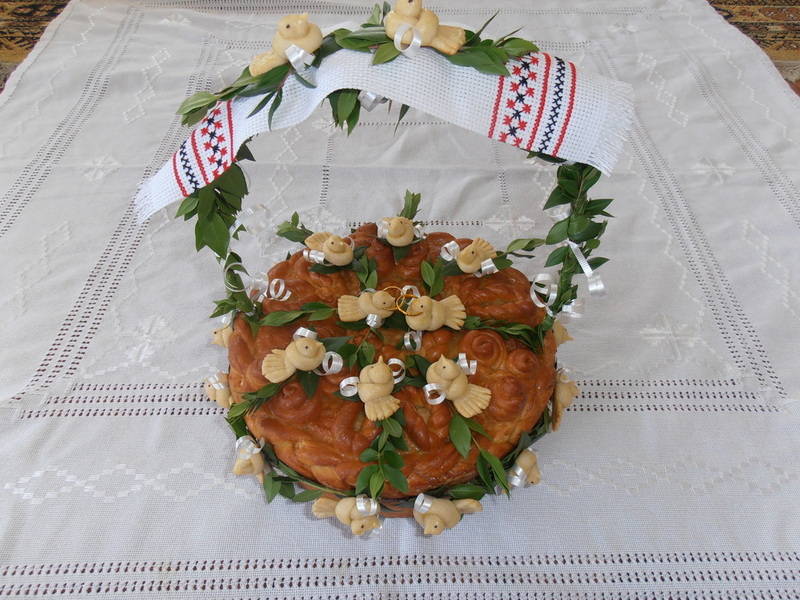 The Korovaichyky come with 2 doves connected with matching rings, greenery leaves, and colored ribbons. They are about the size of a cupcake/muffin and cost $6 each.​ You can present them in a Round bottom organza bag $1 each. 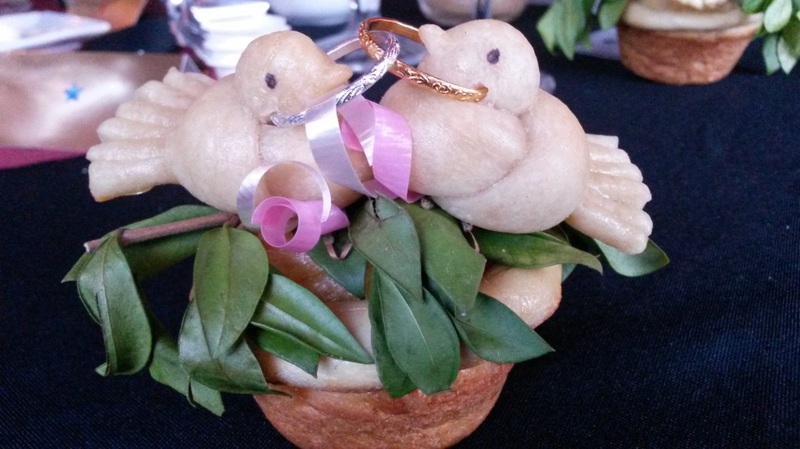 You can order yummy bird buns to have with your meal. 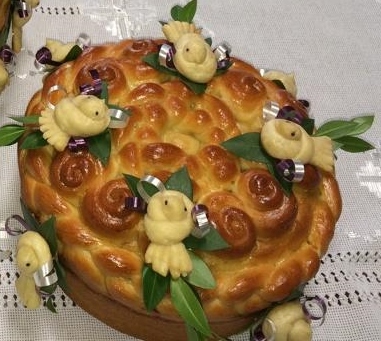 Made with the same yeast dough as your korovai with an edible black ink eye. 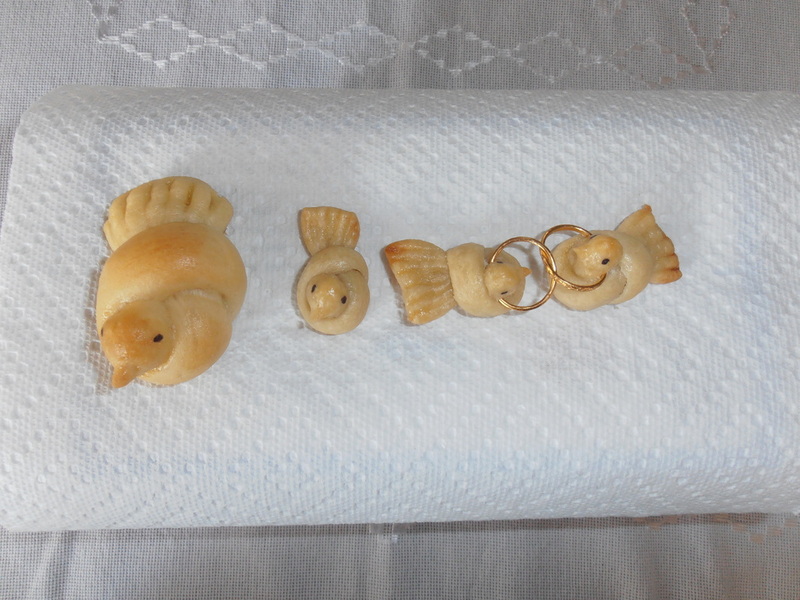 $1.25 each. 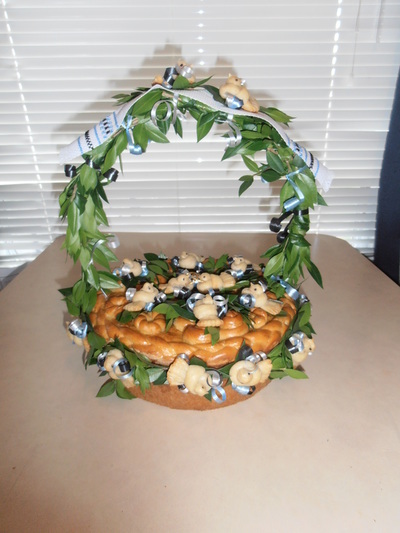 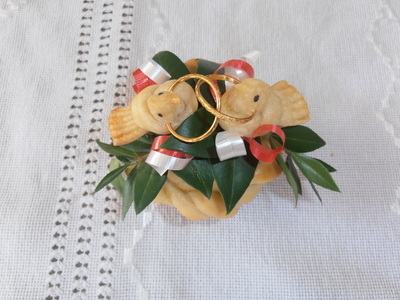 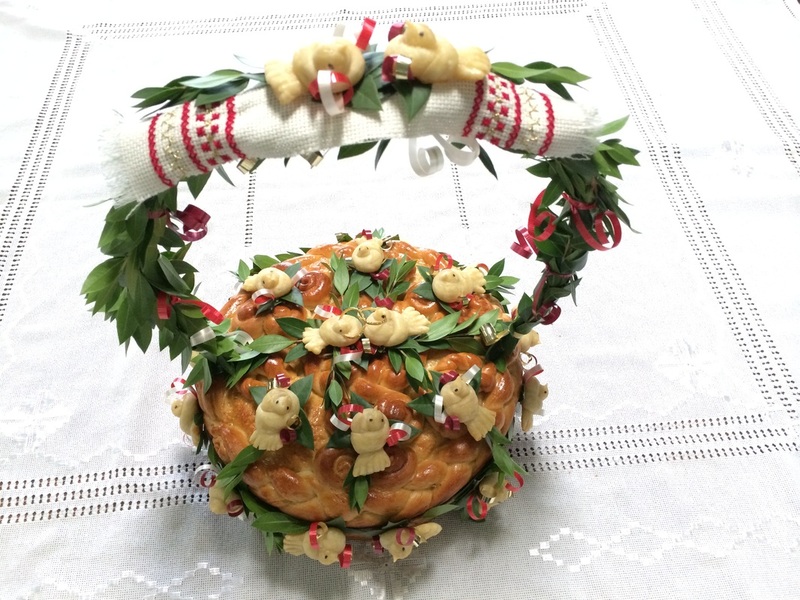 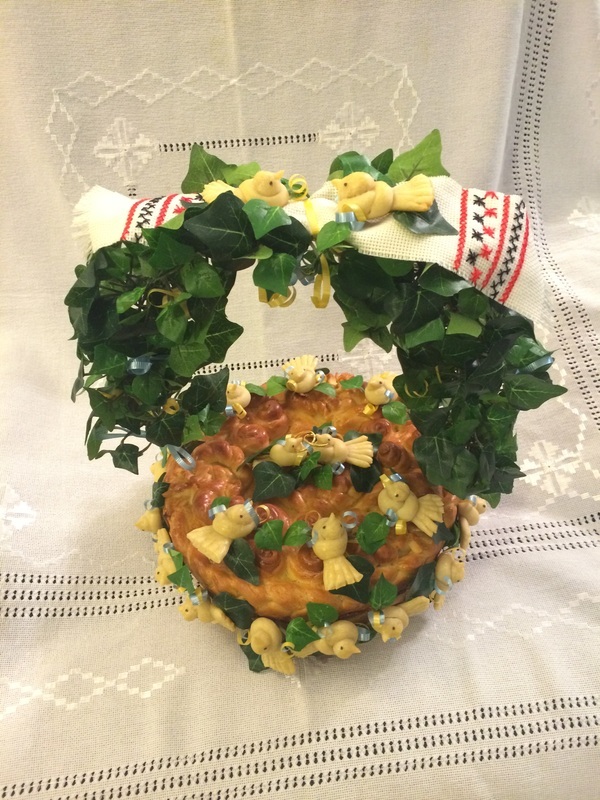 Hiltse, wreaths or salt dough decorations are available. Price varies.